When it comes to toys, I confess that I like the ones that offer the most mileage. 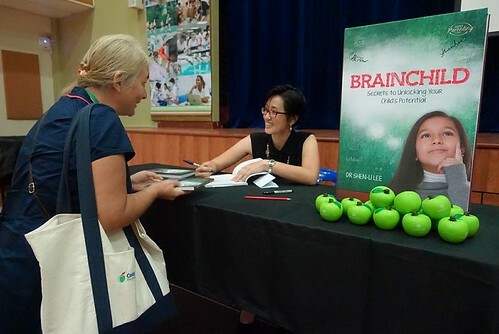 I like them to be appealing to look at, nice to play with, and educational. 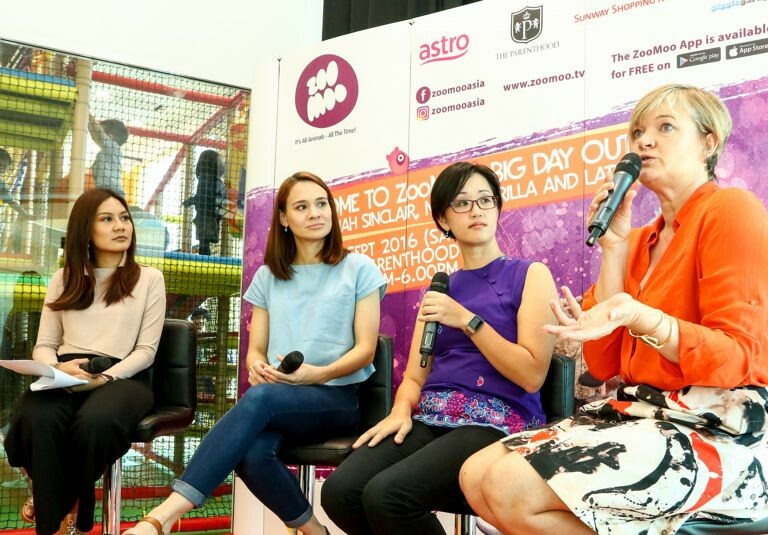 The toy design should also offer children room to grow alongside the toy so that they can be played with for years to come and not just for a few weeks or even months. 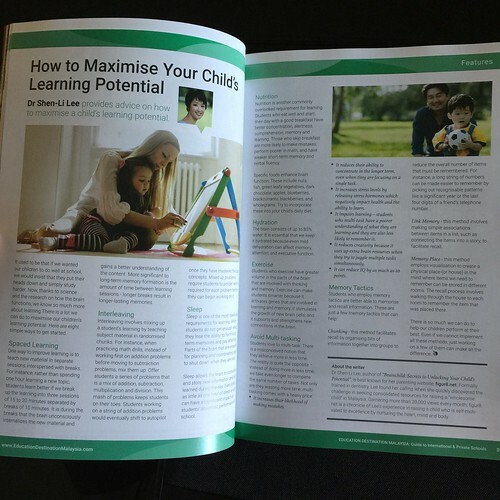 I like toys that are open-ended, constructive, and creative so that children may choose how they wish to play with the toy rather than be limited by the toy’s indications. 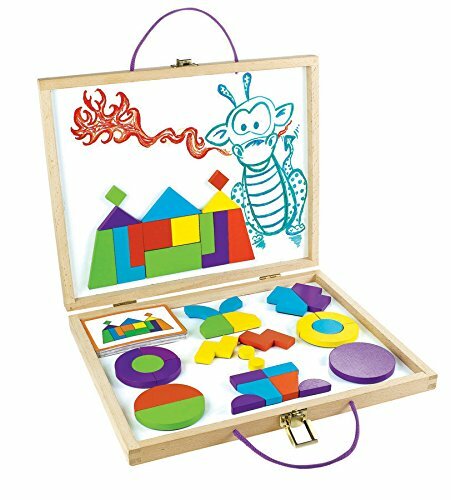 Combine your imagination and magnets and you’ll get Imaginets, a puzzle to help boost fine motor and visual thinking skills with brightly-colored magnetic blocks and 50 full-color design challenges, including animals, faces, vehicles, sports, structures and more. The magnetic board surface doubles as a dry-erase board, so kids can create a backdrop for their creations! Pattern Play offers children an opportunity for artistic play with endless possibilities. It is a simple activity set using a plastic board, activity cards and 150 colorful plastic tiles and your child’s imagination. 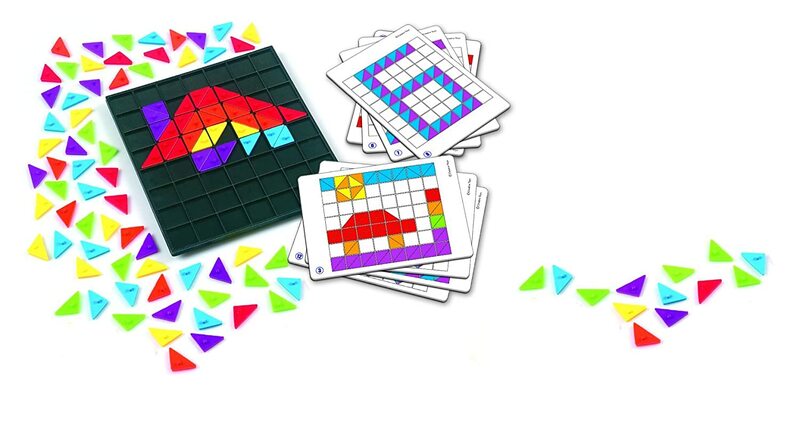 Children select an activity card, then use the plastic tiles to assemble a matching shape on the game board. They can also use their imaginations to create shapes and mosaics of their own, on the game board, the floor or a table top. With Pattern Play, children can learn to count, develop visual perception, color-matching, and motor skills. Features: Infrared Detector, Strobe Light, Color Changing LED, Lighted and Glow-in-the-Dark Fans, Strobe integrated circuit (IC), Fiber Optic communication, Color organ controlled by iPod or other MP3 player, voice or finger. 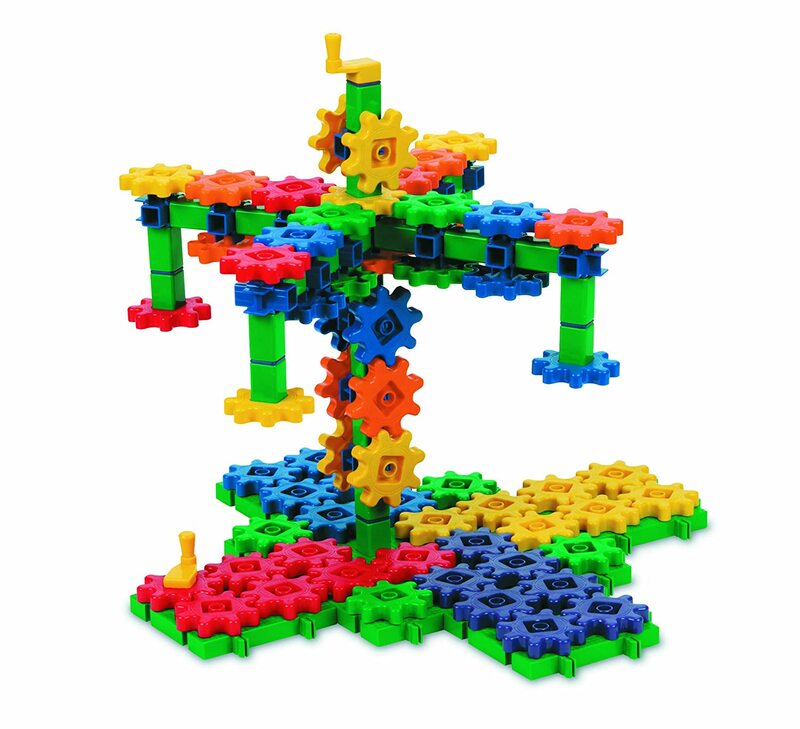 Challenge patterning and problem solving skills with this exciting set of gears, cranks, connectors, pillars, and interlocking plates! 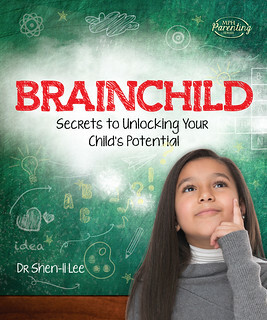 Includes over 80 pieces in one size for hundreds of 3 dimensional possibilities. 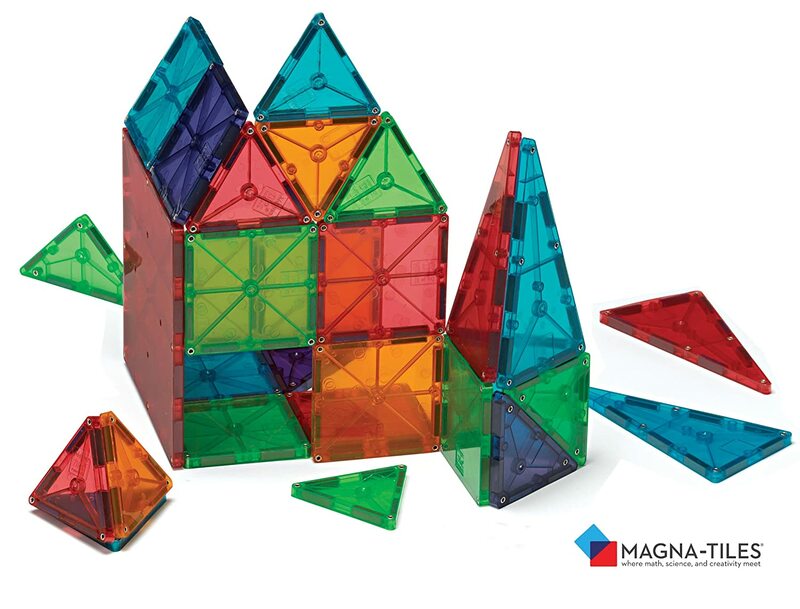 Magna-Tiles® are fun and easy to use, whether creating designs on a flat surface or building in 3-D. Children develop math, science, spatial and tactile skills as they build basic shapes – cubes, pyramids, and other geometric shapes – through play. 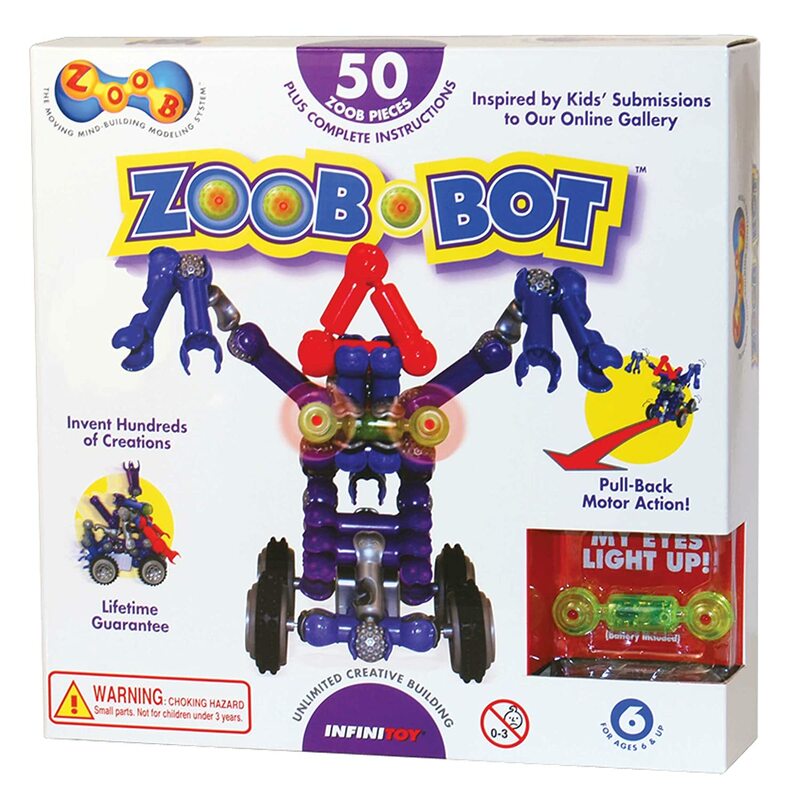 They are great for guided activities or hours of open-ended fun and exploration. Learn about speed, gravity and movement with Eitech’s Marble Run Construction Set. Children and adults alike will love to play with Eitech’s durable and fun marble run, made with high quality steel. The bright, blue plastic track reaches nearly 16 feet of railway. You’ll love watching as the ball excitedly as it moves down the railway. 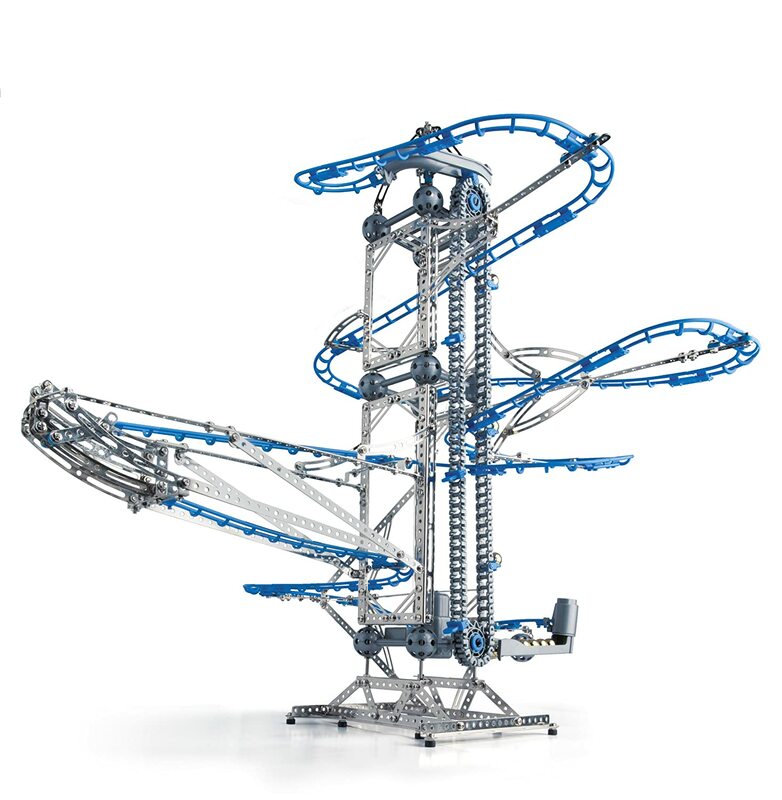 Build 2 marble run models with over 1,100 steel parts that stand over 2 feet tall. Merely 2x AA batteries are required for the engine. This high-quality steel set is the next step in building, perfect for those who’ve already mastered Eitech’s basic sets. Learn different mechanical functions by building each model. 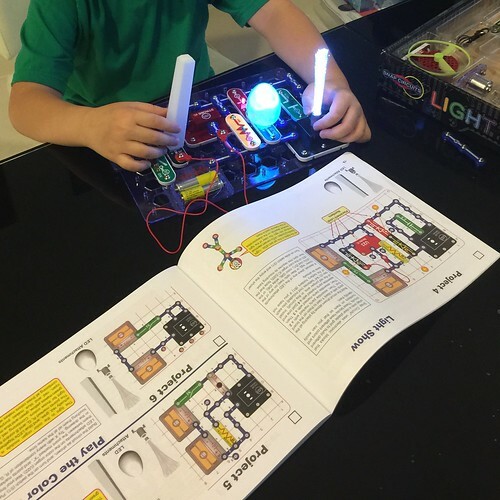 Step by step illustrated instructions are included for easy to follow directions. The Perplexus Original Maze Game is a clear sphere filled with multicolored pathways covering different areas of the sphere’s interior. A small metal ball rolls around on the inside, and the task is to guide that ball through the maze to its end. Moving through the different pathways is a wacky exercise in spatial reasoning and stimulates cognitive reasoning. The ball is moved along a track, requiring flips, twists, and spins in one way or another to keep the ball rolling all the way to the end. Pick up the challenge by racing against a clock or against friends. The Perplexus Maze Game includes a super spiral, a tightrope, and a swing arm to form 3 different puzzles and 100 challenging barriers to discover and overcome. Q-Ba-Maze 2.0 is a unique system of colorful cubes that interlock to form a marble run. Create marble maze sculptures in the form of animals, geometric shapes or any other design! Configurations are unlimited, allowing for unpredictable action when steel balls travel the various routes. Q-Ba-Maze is a live demonstration of probability, physics and art, all in one! Build your own medieval siege engine from pre-drilled planks, a little glue and the help of easy, step-by-step “blueprint” instructions. Then let the fun and experimentation begin! What travels farther: a marshmallow or a piece of macaroni? 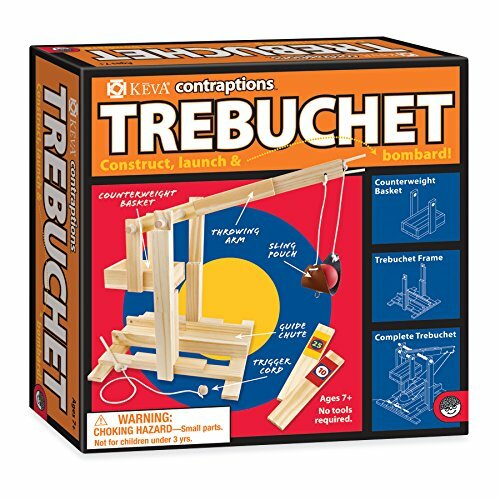 Alter the counterweight to adjust the trebuchet’s hurl, and practice knocking down a field of target planks using the two included balls.